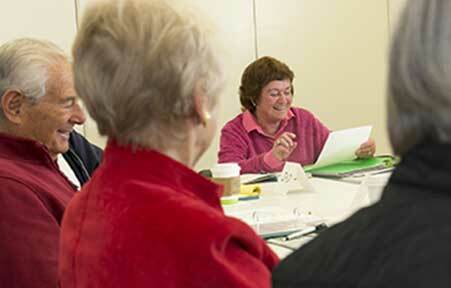 Classes and activities held at The Carmel Foundation are as varied and interesting as the members who attend them. Independent, certified instructors as including many from Monterey Peninsula College and Carmel Adult Education teach classes in personal fitness, literature, art and music appreciation to name a few. Qualified volunteers lead activities such as bridge, a men's discussion group, wood carving, needlecraft and photography, amongst others. Over 50 fun things to do are available to our members each week. A class schedule is available on line and published in the monthly newsletter. See below. Drumming Circle: drums, percussion, didgeridoo & fun! Description: Did you know there are amazing health benefits from participating in a drumming circle? Drumming has been found to reduce tension, anxiety & stress, boost the immune system, release negative feelings and provide a medium for individual self-realization. Being a part of a circle creates a sense of connectedness with self & others. All are welcome to join, whether you have a drum or not! Description: Join members for an open lab session and paint with acrylics. Bring your table top easel and supplies and imagination. Description: Want to improve how your brain works and laugh a lot while doing it? We'll play easy Comedy Improv Theater games based on audience suggestion, the audience being fellow class members. Warning: side effects include improved short term memory and focus, increased attention and processing speed, flexibility, thinking outside the box, limber muscles and in most instances camaraderie. In rare cases happiness occurs.. Description: Meet fellow knitters and enjoy the art of needle craft with this long-standing Foundation volunteer group. Description: Full-service darkroom available to Foundation members. Call Arabella or Jack to learn more about supplies and times available. Fee: $12/annual. Register at class, guests welcome. Description: Sharing/Guest Speakers. Group meets once a week to view local photographers works together and discusses the art of photography. www.cfphotographers.org. Fee: $30 per individual class. Register with Lisa, 512.9063 plumeriapapercraft@gmail.com. Description: Step into the flow of SoulCollage®, and immerse yourself in mindful self-expression! Join Lisa Handley, SoulCollage® facilitator and artist, as she gently inspires and guides participants through each 2.5-hour class and helps you tap into your imagination and intuition to gather images, collage personally meaningful cards, contemplate their significance and consult with them as springboards to your own inner wisdom. Join us for creativity and camaraderie! Both new and experienced are welcomed. All materials are provided. Description: When watercolor paints meet watercolor paper, MAGIC CAN HAPPEN! Even one brush full of any color laid down, can have an effect on the painter's emotions. With either a quick color sketch or a finely detailed, larger painting, the magic is there- that is the joy of painting watercolors! Each weekly class will demonstrate some different ways that the "English Method" can be applied. Coaching will be available to those working on their own subjects and all- skill levels welcome. Easy assignments for beginners. 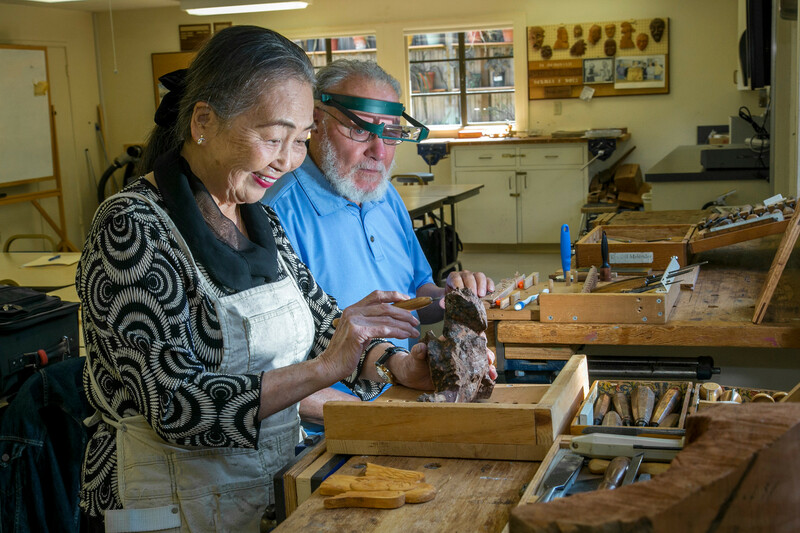 Description: Meet with fellow woodcarvers in an inviting atmosphere and carve together. Description: Janet Tezak as lead teacher and Lois Lynne as assistant teacher will teach basic Greek dancing steps from 4:00pm-5:00pm on Tuesday afternoon and then from 5:00pm-5:30pm, they will run through all the Greek dances. Darold Skerritt has taught Greek dancing for more than twenty years, and Janet and Lois are a product of his wonderful teaching techniques. They have also been part of the Greek Village dancers at many events around the Peninsula. Description: Come learn to Line Dance- it's FUN! Line dancing originated from European Folk dances and gained momentum in the 1960s and 1970s especially after the creation of the "Tush Push" and "Electric Slide" in the 70s. 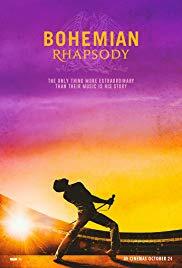 Finally in the 1980s, dozens of line dances were choreographed for specific songs and a line dance craze ensued that continues today with thousands of different line dances to every kind of music you can imagine. Description: Join fellow members as we discuss hot topics in the news! Description: Learn how to take the interesting and varied edX No Fee courses that are and given by the best professors at the best schools. View and discuss inspired Ted Talks thinkers that give us insights in sharable bits. Both sources use technology to create a community of curious souls to engage with ideas and each other. Description: A friendly group of the Foundation's men meet for an enjoyable morning of varied discussions. Sometimes it's an open discussion of current events, or a presentation by one of our members, or perhaps a guest speaker. We make an effort to invite speakers that cover subjects of local interest. Come by and meet your fellow Foundation members! Q & A's, comments and opinions are always welcome and well-received. If you have an interesting background or expertise, stop by and we will schedule you for presentation. Description: Join us as we will offer fresh topics to discuss in a personal and lively manner. Meaningful and harmonious discussion is encouraged. Description: This is a social game and tries to adhere to ACBL rules. It is not an ACBL sanctioned game, so players do not receive "master points" for their participation. There is a wide range of experience levels in our players. 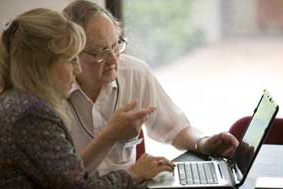 Players who wish to join should have a partner, although once familiar with the group, the facilitator can assist in matching up players with someone in the group who needs a partner for a day. Each player contributes $2 each day that they play, and small money prizes are given to the top 3 teams, both N/S and E/W. Players are not required to know how to score the Traveler forms, although we do need players with that knowledge. We use the standard bid boxes. A signup sheet is on hand to sign up for the following 2 weeks, but players can call to sign up or cancel. Description: Meet with fellow chess players in the Field Café for a fun afternoon of chess together. Description: After a wonderful lunch at the Foundation, join Ed Detrick for chess; one of the most popular board games in the world. This ongoing course is for all skill levels. Studies show that playing chess is beneficial to brain function. Description: Creativity! Calculation! Confirming! "C" is for Cribbage. Games: Bridge, Mah Jongg, Dominoes, etc. Description: Join others and learn this fun card game! There are many variations but we will stay with just one. It is a form of the game of Canasta. This is a game that can be played individually or with partners. Come join the FUN. Description: Have fun working your memory and problem-solving skills in this tile-based game which was developed in China during the Qing dynasty! Description: Meet in the Field Café and play as many games as you like. Feel free to come when you want, and leave when you want. Description: The Feldenkrais Method can teach people about proper dynamic posture and effective body mechanics as well as help alter bad habits that contribute to neck/back pain or pain in general. Feldenkrais uses gentle movements and directed attention to increase range of motion, improve flexibility, coordination and performance as well as avoid movements that cause pain, stress, or discomfort. This method of Awareness through movement allows people to pay attention to what they are doing and how to shift their attention in a skillful way. Description: The Carmel Foundation walking group leaders, Geoff & Sarah, will be starting a monthly hiking group! If you are looking for a little adventure & outdoor exercise please consider joining us for a hike. This group will be exploring intermediate skill level trails on the second Saturday of each month. Facilitator: In collaboration w/Alzheimers Assoc. Description: Come sing to slow memory loss! Singing is not only fun, but an excellent way to maintain and improve your memory skills. Join us to sing favorite tunes from the past while we take a musical trip down memory lane. Fee: $6/class w/prepaid 10 class card; $8 single. Sign-up at class. Description: Learn the importance of stretching in this low-impact and safe class; all fitness levels are welcome. Description: Tai Chi for Arthritis is a gentle form of exercise known for its health benefits; increasing strength, balance, flexibility and a sense of well-being. Tai Chi can be modified to fit almost anyone's level of ability and can be practiced seated or standing. 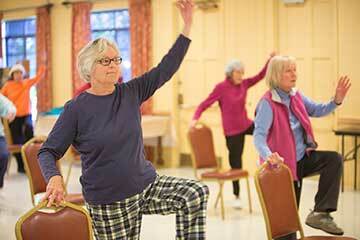 Come experience why people have referred to Tai Chi for Arthritis as "medication in motion". Description: Are you looking for a little adventure & outdoor exercise? Join us Tuesday afternoons for our Weekly Walking Group. We have been exploring all that this breathtaking Peninsula has to offer, while enjoying each other's company. Past adventures have included walks at Stillwater Cove, Bird Rock to Indian Village, Scenic Drive & Point Lobos State Natural Preserve. Description: Gentle chair yoga. Balance, stretch, move, relax and renew. Description: Hatha yoga, gentle flow, reclining, seated and standing postures. Balance, stretch, move, relax and renew. Participants need to be able to get up and down off the floor. Description: The Qigong class will give you the fundamental tools and practices of Qigong that will aid with the prevention of illness, increased balance and flexibility, and improvement in one's overall health and well-being. Qigong can be done while sitting, standing, or moving, and is suitable for all ages and fitness levels. Qigong is easy to incorporate into your daily life, and regular practitioners enjoy more energy, good health and well-being, and are better able to deal with issues of stress, anxiety, and pain. Description: Meet with like-minded members who appreciate giving back by planning various plant sales at the Foundation along with caring for our beautiful on-site garden center. Description: Meet weekly to discuss books with new friends! Description: Meet monthly to discuss a wide variety of novels the group chooses together. Fee: 30 minute lesson/$30 or $100 for the 1st month. Call Pam for scheduling 831.277.7638. Fee: $70 monthly duet lessons; $140 private. Call Marina for scheduling 831.277.0179. Description: Russian methods are designed for students of all skill levels; beginners, intermediate and advanced welcome! Our Technology Center classes quickly became so popular that within five years some 1,000 members successfully completed these classes. 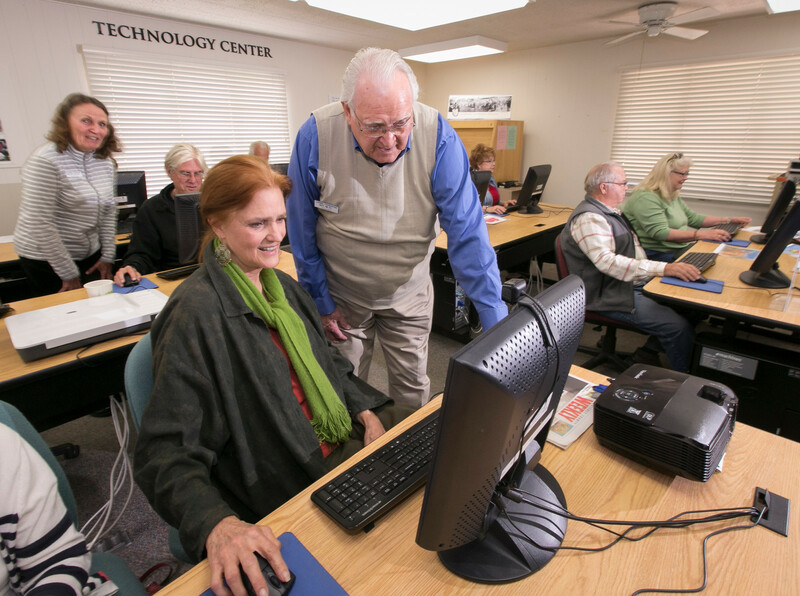 The Foundation owes the Technology Center's overwhelming success to the energy and dedication of its core of volunteer instructors and monitors. A wide range of classes include such subjects as word processing, spreadsheets, graphic design, and photo manipulation are available. 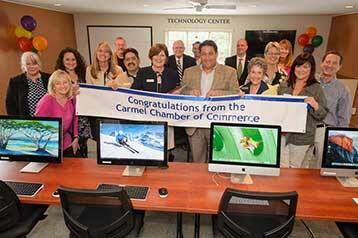 Due to generous donations, the Technology Center is outfitted with state-of-the-art equipment. These classes and activities bring richness to the Foundation and to the lives of our members. The Carmel Foundation continuously strives to offer new and exciting programs and activities to its curriculum. Sign Up for Classes to Inprove Your Skills...! The Carmel Foundation hosts one day workshops. These workshops cover a wide array of topics and are presented by people with expertise in the area being discussed. Lectures and entertaining programs are held Wednesday afternoons at 2:30pm in Diment Hall. 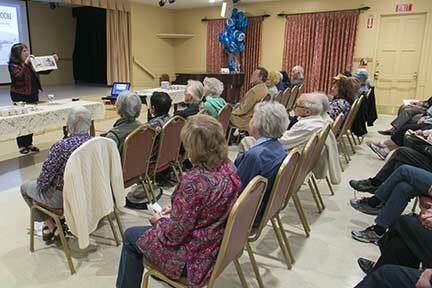 A variety of slide presentations, lectures, and musical entertainment is offered. At the conclusion of each program, refreshments are served by a committee of volunteers. These programs are given as a community service and are open to the public without charge.